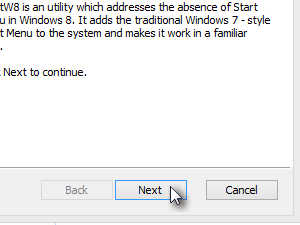 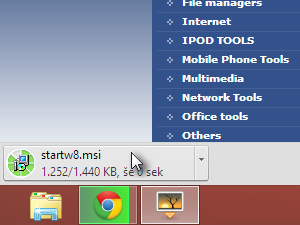 First we will download the application for the new Start menu. 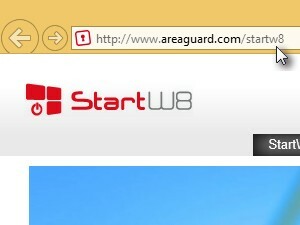 In your browser Go to http://www.areaguard.com/startw8. 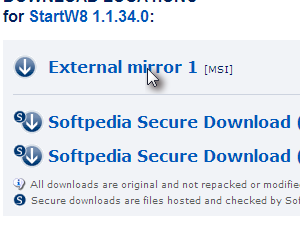 Click External mirror 1 on the right side. 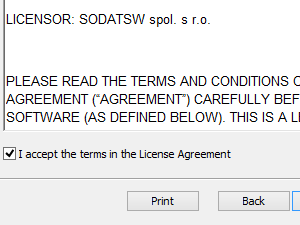 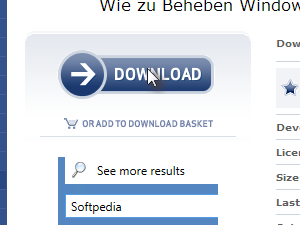 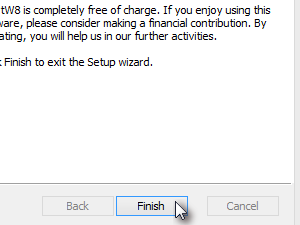 Select that you accept the terms in the License Agreement. 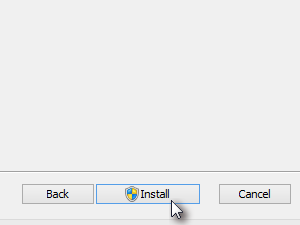 Click Finish to finish installation. 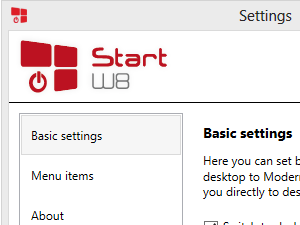 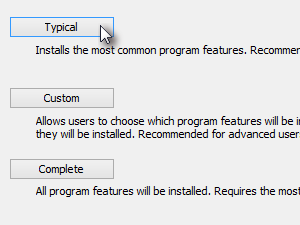 First settings window shows up. 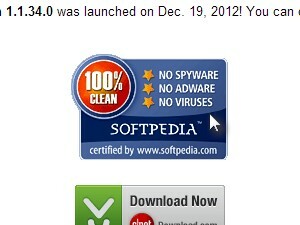 Check it out and click OK.